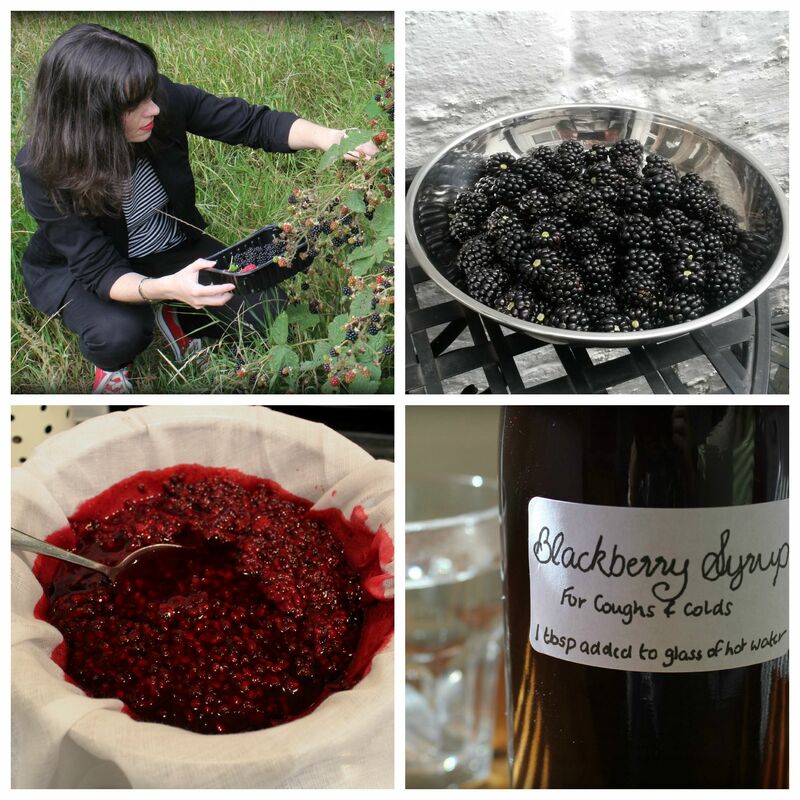 I wanted to do something different with the blackberries I’d picked from the hedgerows this year and was rather intrigued when I came across a recipe for Blackberry Syrup, an old-fashioned remedy for coughs and colds. I altered the recipe slightly before whipping up a bottle of the stuff. I’m now setting myself the challenge of getting through the winter season without reaching for my usual aspirin-laden cold relief! 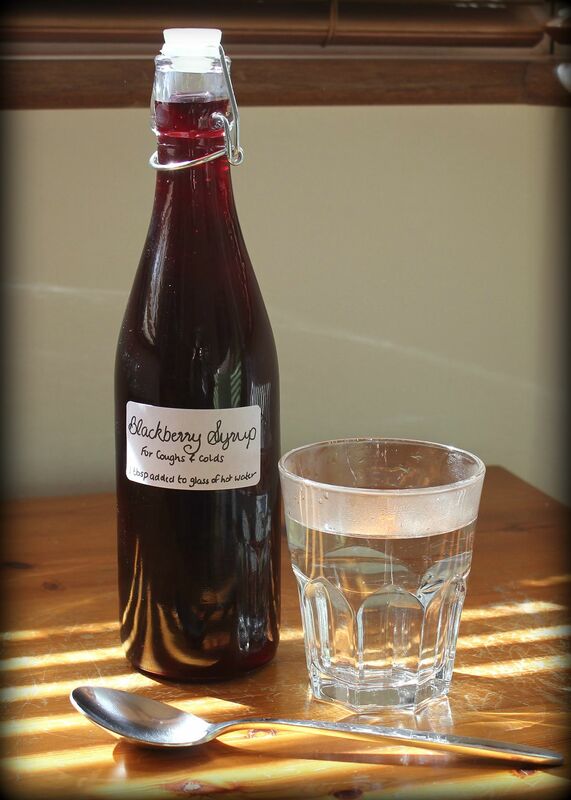 The syrup combines blackberries, which are rich in vitamin C and antioxidants, with white wine vinegar and honey, both known for their antibacterial and antiviral properties. I’m a big believer in feeding yourself healthy, of eating the right things to counter any ailment or imbalance, so I’ll be interested to see if this curious concoction with all its health-boosting ingredients, manages to banish the inevitable sniffles this winter. 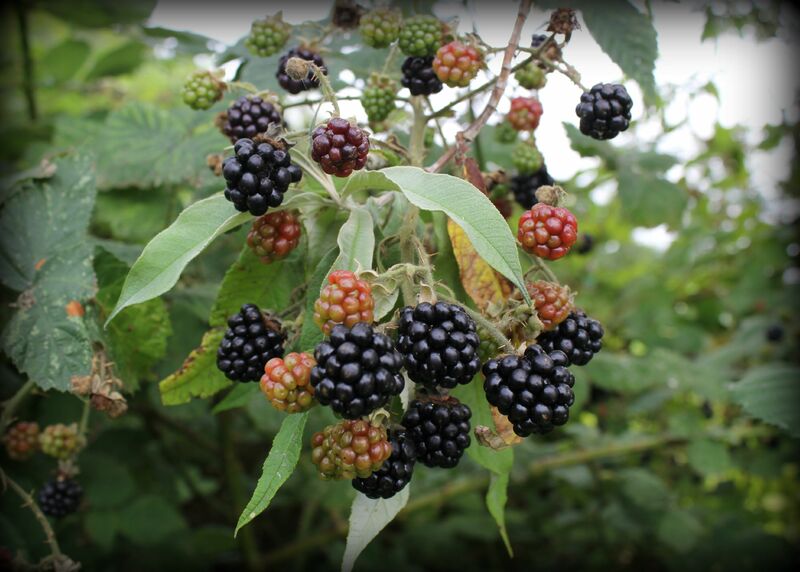 Place the blackberries in a bowl (glass or china preferably, to avoid staining) and pour the vinegar over. Leave to stand for at least 24 hours, stirring and pressing the berries regularly. Strain the mixture through muslin, squeezing out as much juice as you can, into a saucepan. Add the sugar, stirring constantly to ensure it all dissolves, and then add the honey, continuing to stir well. Bring to a hard boil for 5 minutes before leaving to cool. Store in a bottle or in ice-cube trays in the freezer. Add 1-2 tablespoons to a glass of hot water before bed.